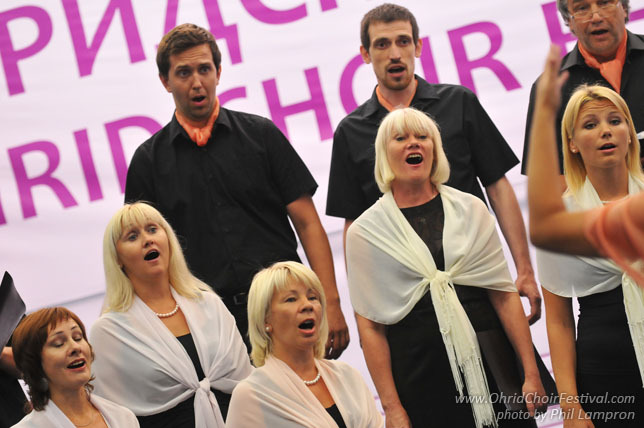 The chamber choir “Matejs” was founded in the spring of 2003, specifically to participate in a special event for Latvia – 23rd Latvian Nationwide Song and Dance Celebration. 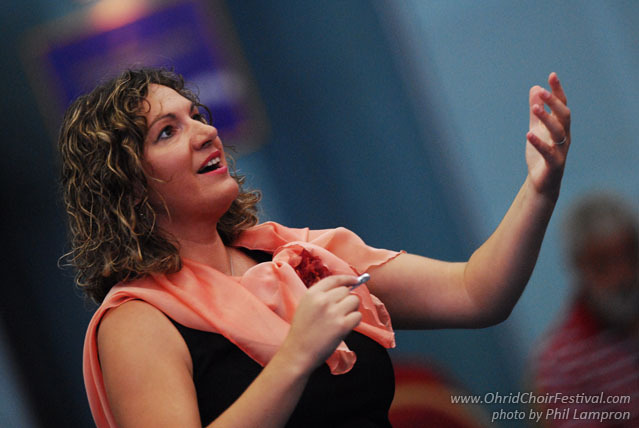 The organizers of the celebration included one day devoted to sacred music. For this day, they invited conductor Rudite Talberga to lead choir songs performed by singers who came from an active Latvian church. 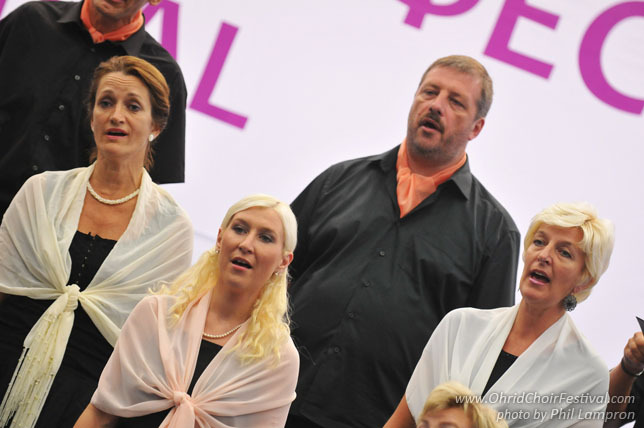 While preparing for—and after participating in—the Nationwide Song and Dance celebration, singers of the choir understood that the choir must continue to live and sing as Chamber choir “Matejs”. 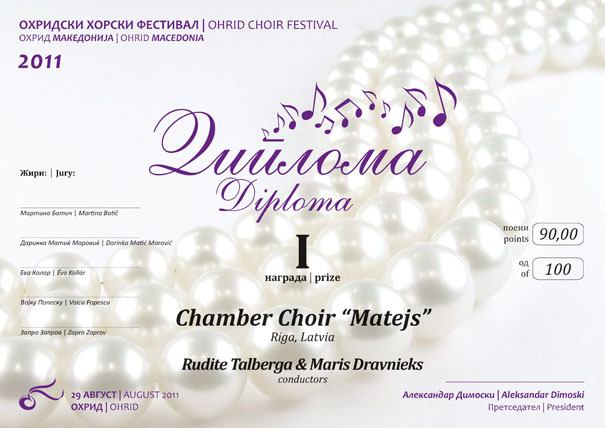 This year, 2011, chamber choir “Matejs” celebrated its 8th anniversary. 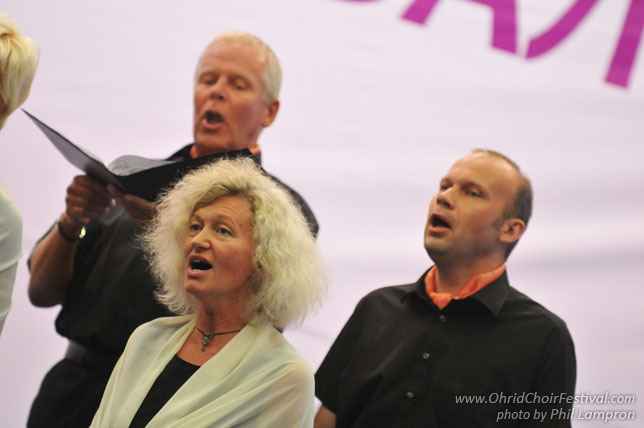 Since its creation the choir has sang in different denomination churches around all Latvia, participated in projects with other choirs, musicians and composers, performed concerts in Dublin (Ireland) and London (Great Britain). 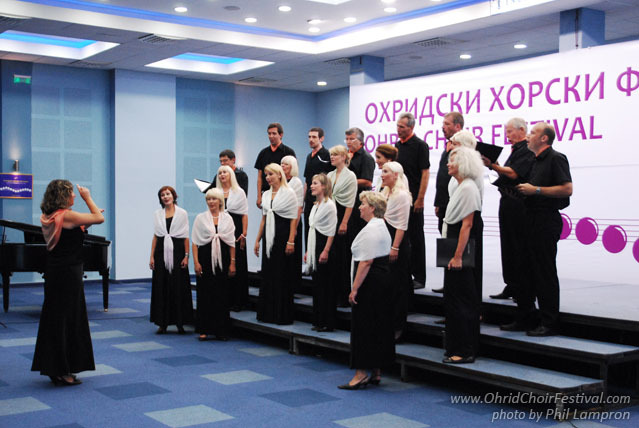 In 2009, the choir participated in the Daugavpils (Latvia) International Sacred music festival “Silver bells” (Daugavpils Starptautiskais garigas muzikas fesivals “Sudraba zvani”) and received 1st place in the mixed choir category. This choir has a wide repertoire to perform, honoring the great sacred music composers from different centuries as well as contemporary sacred and worship music composers from around the world.